Diversity being the core of what I do in my role in recruitment and network lead, I am particularly passionate about gender and BME equality. Core member of D&I for both recruitment and Data Analytics- leading on the BME workstreams to harness the relationship between recruitment and the various EY Networks. Having full recruitment oversight over Data Analytics recruitment means I am in a position to have an impact on diversity and am able to influence this through building relationships and trust. I have introduced a number of initiatives in the past year in an attempt to influence our gender & BME mix. Revamped interview matrix- to ensure that every BME/female candidate has one stage of their interviews with a BME/female interviewer. Worked with brand and marketing team to profile and curate case studies on role models within the Data Analytics team, to showcase how EY supports them via flexible working. Gender hires- 24% last year to 50% this year. Integral role in planning, designing and executing activities which enhance EY’s market leadership. Binti promotes menstrual dignity through access to sanitary protection and education. In many parts of the world, unfortunately menstruation is a huge cause of gender inequality. Binti enables women within these communities to produce and sell sanitary towels in a sustainable social enterprise model, empowering them to fight against social stigma and become more equal participants within society, whilst also providing an extra source of sustainable income. I have ran and lead menstrual education classes in India and East Africa. Spending time with these young children, both girls and boys has been hugely rewarding for me. Using my background and experience in recruitment, I am also involved in dealing with the large number of applications we receive as a charity from volunteers and ensuing their skills are utilised in the appropriate projects. I am thrilled to be able to have an impact on diversity both at work and outside of work and would love to inspire others to do the same. 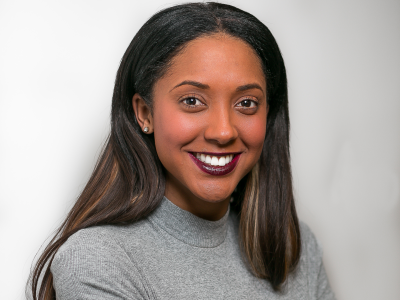 Joanna Abeyie is in a class of her own, a new breed of business leader, she is an award-winning, agenda-setting Diversity champion and recruiter, social campaigner, TV executive, broadcaster and journalist. Aged just 29, there are few under 30s that can claim similar achievements, one of which being among Broadcast magazine’s hotshots of 2016. Joanna founded the award-winning creative industry diverse talent recruitment business Shine Media in 2009, which recently morphed into Hyden (taken from the old English word for ‘hidden’), as part of leading global recruiter SThree PLC. Hyden is an Executive Search Firm and Diversity Consultancy Practice Having helped to place more than 3,000 people from diverse backgrounds in permanent and freelance jobs in the creative industries, it is Joanna’s efforts in improving the creative industry’s diversity that truly have made her stand out. As a campaigner for diversity within the publishing, TV, Radio, Digital and Creative Industries, Joanna is regularly at the centre of the diversity agenda, leading conversations around inclusion and representation. She is often called upon to steer, lead, plan, create or participate in established industry events or radio and TV discussions around the diversity conversation. 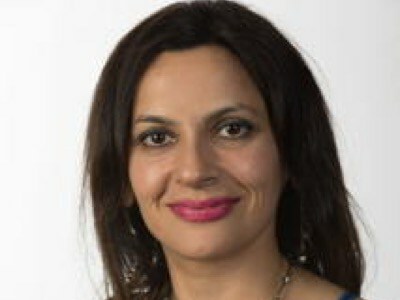 Joanna worked as a consultant and became a key diversity partner for the BBC, ITV, ITN, Channel 4, Sky and The Guardian among others. Joanna grew up in South London to a Ghanaian civil servant father and English mother. It was a working class family and she regularly witnessed a dearth of opportunities amongst her local community. Following graduation from Reading University where Joanna studied English and Sociology, these observations continued into her working life as she worked in a string of roles at many of the big magazine publishers, going onto do a Masters in Magazine Journalism at London’s City University. Displaying a rare work ethic, creative vision and sheer drive for someone so young, Joanna co-founded employment charity Elevation Networks aged just 19 while studying English & Sociology at Reading University. The charity still exists today and is a multi-award winning youth employment charity that develops the leadership potential in talented young people. Joanna’s story doesn’t end there. She also harboured a passion to tell stories that challenge preconceptions of stereotypes and unearth hidden social subcultures. 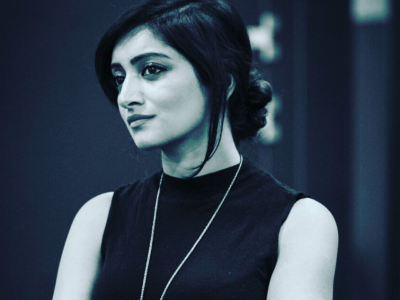 This saw her set up own production company LH Productions in 2014. It has seen her produce and present programmes on children of alcoholics for ITV This Morning at the end of 2016, as well as segments on female ex-offenders struggling to find employment for BBC Inside Out. In 2016, Channel 4 gave Joanna her biggest commission to date with Hip Hop Millionaires, a series of C4 shorts co-produced by LH with Sugar Films, Big Head Productions and supported by The TV Collective. The final string to Joanna’s bow is being a multi award-winning journalist and broadcaster with over ten years of experience in current affairs, news and entertainment news both in the UK and America. Joanna has interviewed some of the business and entertainment world's most reputable and successful professionals, politicians and celebrities for the BBC, ITV, Sky News, The Times Online, The Mail Online, BBC Radio 5 Live, BBC London, The Sun and Daily Mirror. Joanna also presents her own Sunday evening news and events roundup on BBC Radio London’s Dotun Adebayo show. Joanna’s social campaigning has seen her gain a seat on the NUJ’s Black Members Council, a role on the Board of Director’s for The Lord Mayor’s Appeal, The Media Council, Investor in People and the board of advisers for Ghana-based leadership and upskilling initiative Cedi Street. She has also been a judge for awards including Audio Production Awards, Professional Publishers Association New Talent Awards, Royal Television Society Awards to name just a few. Joanna’s TV work stands out in that it will decidedly be away from the worlds of showbiz and entertainment, but instead the purpose of her content will be not primarily to entertain, but to educate and inform. This strategic mission to create, lead and inspire, in tandem with Joanna’s ambitions for Hyden, reveals a visionary approach. 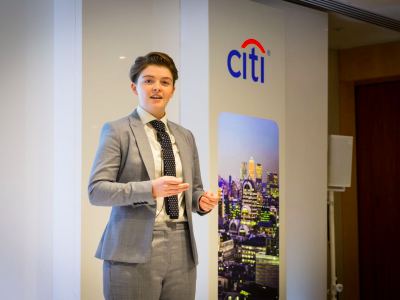 Paige is a Diversity & Inclusion Advisor at Citi specializing in BAME, disability and LGBT+ inclusion. During her time at Citi, Paige has worked on award winning projects and was selected to be part of a small innovation circle for the HR department. Paige is a committee member of the Citi Pride (LGBT+) Network in London, where she acts as the Trans* representative and D&I Advisor. 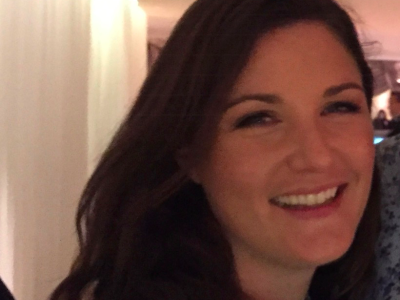 Outside of work, Paige is the youngest member of the Gay Women’s Network steering committee and runs monthly networking events in Canary Wharf for LGBT+ women and non-binary people. She is an alum of the Stonewall Young Leaders programme and a volunteer for Diversity Role Models, a UK charity which aims to tackle homophobic, biphobic and transphobic bullying in schools. She graduated from Lancaster University in 2015 with a BSc in Business Studies. After completing a Business Science degree at the University of Cape Town, I moved to London and joined The Royal Bank of Scotland. Two years later in 2009 I moved into Structured Finance at Deutsche Bank (DB). While at DB I was nominated to join the department's Sports and Social Committee, later chairing the group, and also the Global Transaction Banking (GTB) Connectors Committee. Both leadership groups aim to bring employees together through social, sporting and charity initiatives. In addition, the latter provides a conduit between senior management and staff fostering open communication and inclusion. Throughout my time in GTB I was keenly involved in charity initiatives; contributing as a fundraiser, volunteer and being a department representative for the bank's charity events. In late 2017 my career took an exciting turn when I was giving the opportunity to join DB’s Corporate Social Responsibility team (CSR). I now run DB's Born to Be youth engagement programme. In the UK, Born to Be helps less advantaged young people reach their full potential through education initiatives. Whist still working in the business in 2016, I was approached to join the Steerco of Deutsche Bank's disability network - dbEnable. Made up of 15 employees across Deutsche Bank UK and Ireland, the Steerco's objective is to enable an inclusive and supportive workplace where all people affected by disability or illness can flourish. Becoming part of dbEnable was a transformative step in my career. It exposed me to the diversity landscape and ignited a passion to create a more inclusive environment in the banking sector. dbEnable arranges numerous awareness events throughout the year on topics such as Autism, Dyslexia, Stammering, Mental Health, Physical Disability to name a few. We engage with staff and senior management internally and are part of various external disability and mental health forums such as “This is Me in the City”, Purple Space and Wharfability. At the start of 2018 I was nominated for the role of dbEnable Co-Chair. We strive to embed a culture of inclusion in the workplace and continue to drive awareness while at the same time have a keen focus on the bank's disability and mental health policies. dbEnable is the bank's go-to group on disability, mental health and illness matters and I am extremely proud to be leading it. Many years experience in Programme, Project Management Office and Tech, working in large IT and business change programmes and projects. Successfully changed careers to Tech by taking a year out to study for MSc in Computing & IT and have since worked in a range of IT, Change, Regulatory and digital security projects to the present role as Vice President Delivery PMO at Barclays International. Outside the Investment Bank day job my commitment, enthusiasm and passion are well received through all voluntary activities whether through my company or externally, where I organize and participate to inspire and share my passion to encourage diversity. This ranges from Tech or women in senior management to inspire others from deprived backgrounds, from school age through to professional women. I like to encourage and influence within the fast paced, growing Tech industry and also women in senior management through my active charity work to inspire and be inspired from others by regularly giving back to the community. An active committee member of Barclays Gender network co-chairing Enable & Engage committee, Lead on the Wellbeing workstream and organize many tech and non tech community based voluntary activities outside the day job. I’m delighted that my company encourages diversity and this is one of the qualities I really appreciate which further give the opportunity to create real impact on the issues that matter such as encouraging more into STEM (Science Technology Engineering and Mathematics) and improve the pipeline. Use of previous experience as a keen voluntary worker ranges from teaching OAPs in my spare time in the local community centre to learn / coach on PC and iPads to become more 'IT savvy' to sharing tips through my passion and knowledge influencing – for example, encouraging more women into IT through my blogs (that have over 12,000 hits and have been published on corporate sites) and help and mentor young people to assist in careers an Tech such as CV help, mentoring to encourage interest for females to join the Tech sector. Also share skills and experience in a professional women’s forum where I actively participate such as speaking at a conference and participate and organise many voluntary forums.